يحظى فندق Gables Lakefront Motel بمكان متميز في محور المدينة والاستمتاع بـ سياحة, رياضات, مطاعم في هذه المنطقة الفاتنة. يمكن من هنا للضيوف الاستمتاع بسهولة الوصول إلى كل ما تقدمه هذه المدينة النابضة بالحياة. إن سهولة الوصول من الفندق إلى المعالم السياحية الشهيرة الكثيرة في المدينة هو استثنائي بحد ذاته. إن الخدمات الممتازة وحسن الضيافة العالي في Gables Lakefront Motel تجعل إقامتك تجربة لا تنسى. يمكن لضيوف الفندق الاستمتاع بالميزات التالية على أرض الفندق: صف السيارات, خدمة الغرف, جولات. لقد جهزت هذه الإقامة الفندقية بعناية فائقة لتوفر مستوى عالي من الراحة. في بعض الغرف يجد النزيل تلفزيون بشاشة مسطحة, سجاد, قهوة فورية مجانية, شاي مجاني, جهاز ضبط الرطوبة. كما أن مجموعة الخدمات الواسعة الموجودة في الفندق لضمان راحتك تترك لك الكثير من الخيارات لقضاء وقتك أثناء فترة إقامتك. 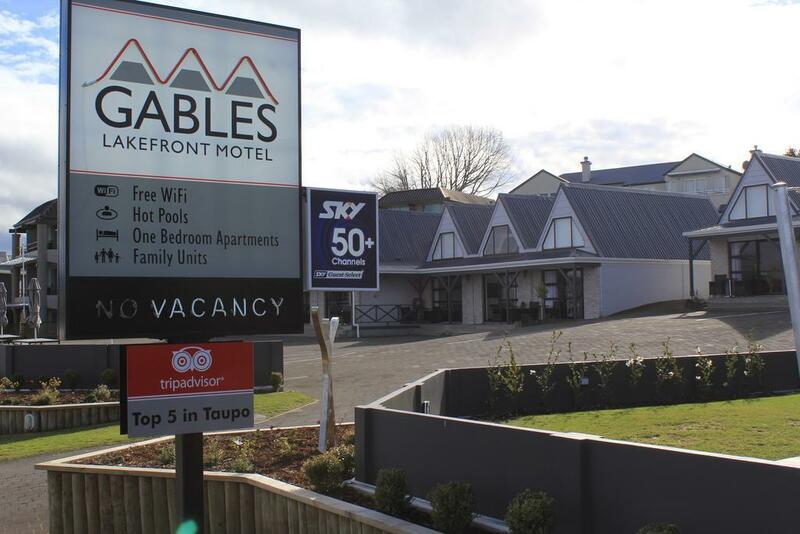 إن Gables Lakefront Motel هو خيار ذكي بالنسبة للمسافرين، فهو يوفر إقامة هادئة ومناسبة للاسترخاء. Rooms seem to have been very recently renovated, and everything was spotless! Great stay! We stayed 2 nights, right across the lake, full view. Our room consisted of a generously sized sitting room with sofa and chair combined with a dining table. The sofa is a pull out. The bathroom has shower, sink and toilet. The bedroom held a king-sized bed and room for organizing shoes, clothes - generous cupboard space. Beyond the bedroom is a private spa - the type where the water doesn't jet, but it was lovely and we enjoyed the very warm but not hot temperature. The kitchen has a double burner, a few pots and pans, silverware and drink ware including cups, glasses, etc., and plates/bowls. Milk was provided, along with homemade cookies and a few pieces of fruit. The hosts are a kind and friendly as can be. I highly recommend this motel and would happily return. It's definitely a motel - not a B&B, and we could hear our neighbors in the spa and when the doors were open, but it's the kind of place where the neighbors were friendly and we had great conversation. 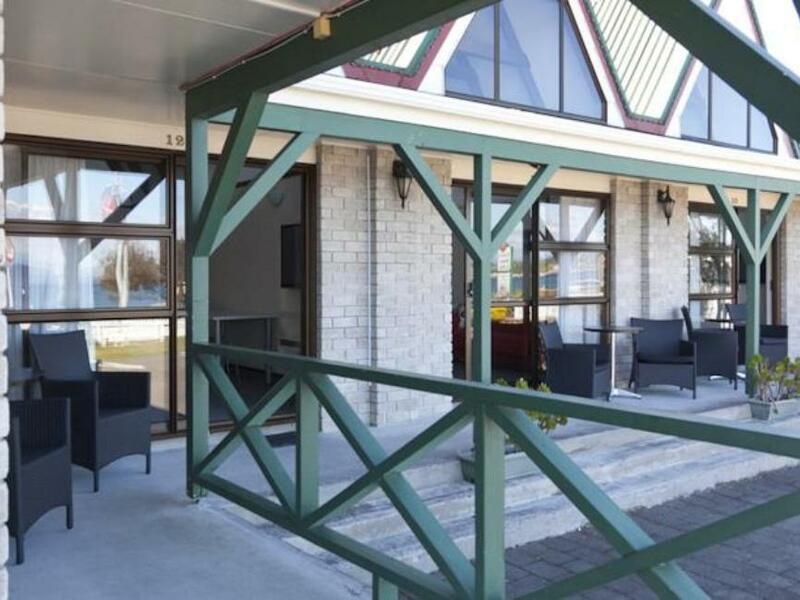 Nice lakefront hotel with beautiful views and friendly staff. Kids loved the hot spa in the room. Can be quite noisy at hot spa area as you can literally hear everything from the neighbouring unit's hot spa area. Nonetheless, will stay here again if we come back. The lake is just right in front of the motel, nearby to any where you want to go at Lake Toapo. Friendly staff! Highly recommended! Booked this place for the lake views. Whilst opposite the lake you park you vehicle directly in front of your room, blocking you view. Worse is the lack of privacy - everyone entering the property and walking to and from their vehicles and to reception stare directly into your room. If you close your curtains, again no view. Also on a busy road - noisy if you have the windows open and room size overall was quite small. Overall very disappointing - not sure how it gets it rating. Peter is friendly and helpful, a very warm person when I first saw him at the entrance. 2 of our rooms heater were not functioning, he was immediately settled on the same day when we were back from our day trip. Very efficient! The rooms we booked were 3-bedrooms for 7 persons and 3 persons in one room (one Queen bed + sofa bed) x 3. All the rooms are equipped with kitchen facilities, white & red decor makes the room comfortable & relax. Don't forget the complimentary apples refilled daily, crunchy and delicious as well as biscuit provided to each room. So sweet of them! Not far from the town area, just a few minutes drive, nice scenery in front of the motel, from sunrise to sunset, the view is marvellous! You can also soak in shared family hot pool or get a room comes with private hot pool, towels are provided. Good reviews gourmet outlets in town are Plateau Bar and Dixie Brown's, the food is good. 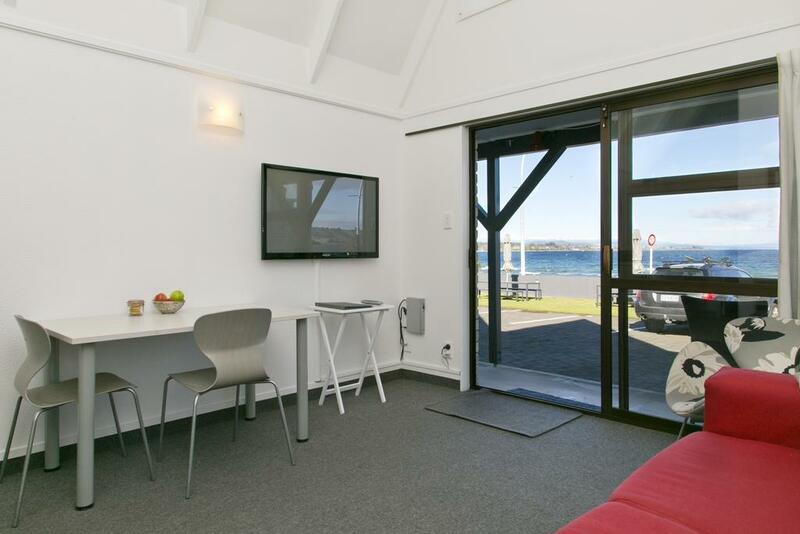 Clean, modern design, great view of the lake, yummy homemade biscuits! Great location, very friendly and helpful manager/owner (Peter), and private heated pool. One of the best hotel we have experienced. 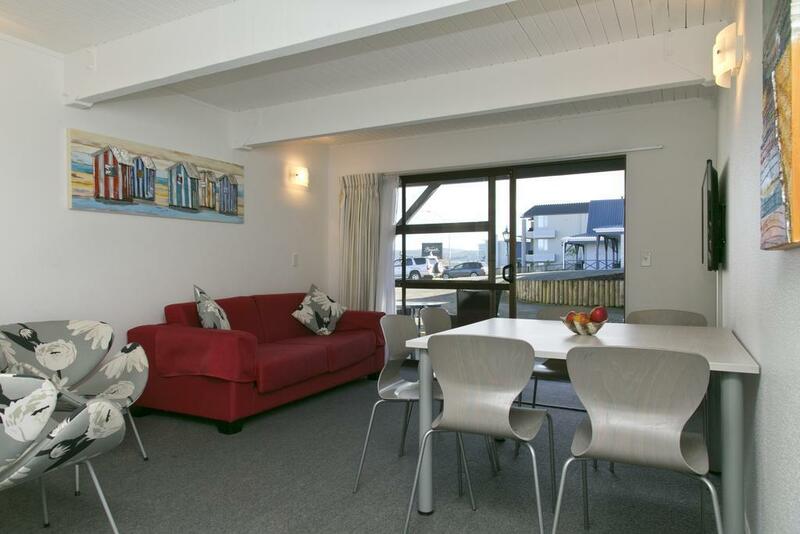 The location is great with an unobstructed view of the lake along the main beach. The room is modern, clean and comfy. The private heated pool is definitely a plus. Peter (manager/owner) is genuinely very friendly and helpful. Beachfront view, clean, has everything! Our stay at Gables Lakefront Motel has been great! Peter has been an excellent and welcoming host, which destroyed the entire notion of this accommodation is a motel. 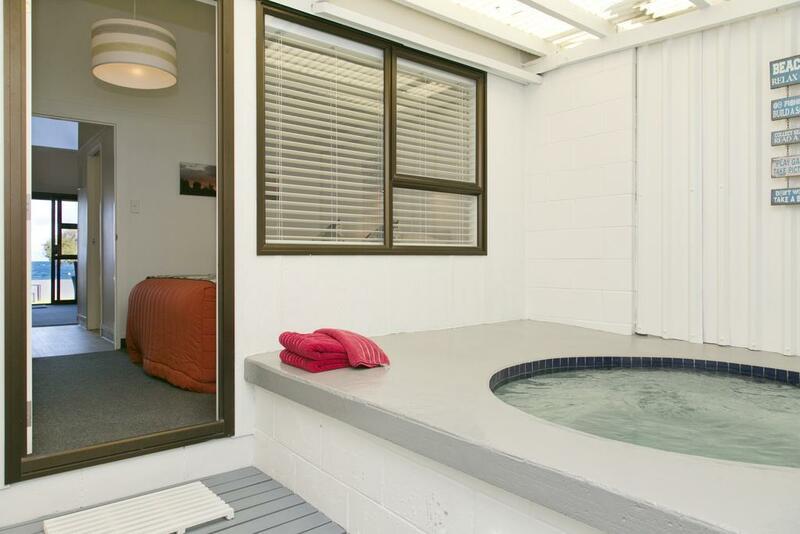 All the facilities you need in an apartment is there, and this one comes with your own hot tub! Great hotel, clean and friendly. Great hot tub view.